2012: A Year of Custodial Responsibility! 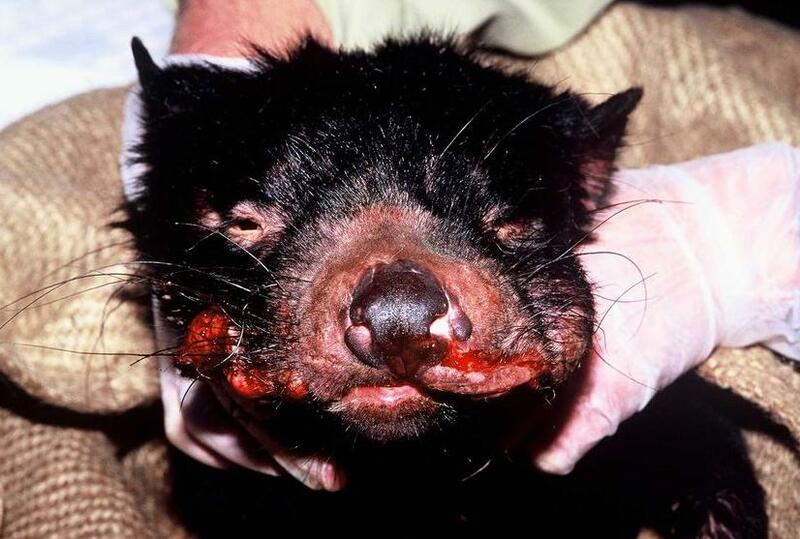 Devil Facial Tumour Diseased (DFTD) spread can be stopped. [Source: University of Adelaide zoologist Dr Austin who since 2008 has been leading a national project to help save the endangered Tasmanian devil from extinction. ^http://www.sciencedaily.com/releases/2008/11/081103164725.htm]. 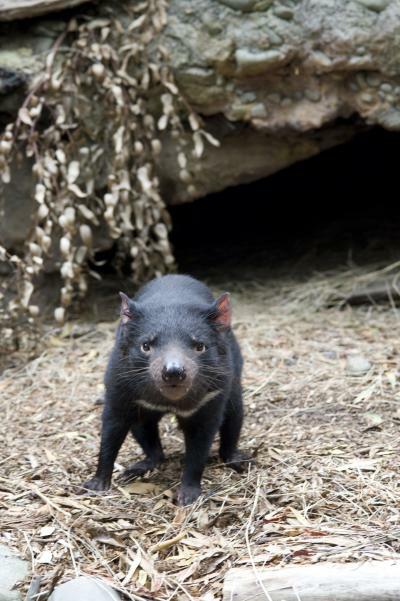 Dr David Obendorf, Wildlife Veterinary Pathologist in Tasmania, says that the recent outbreak of disease killing off Tasmanian Devils is symptomatic of similar recent diseases affecting other wildlife the same areas of Tasmania, which is impacting on their survival. Coming out of nowhere for Tasmania is ‘Mucor amphibiorum‘, a fungal disease in platypus and frogs which doesn’t occur on the mainland and yet we know that, that organism occurs on the mainland. Tasmania now has a cat borne infection ‘Toxoplasmosis‘ which is spread by feral cats which kills wallabies, wombats, bandicoots. Tasmania has a new staphylococcal infection that infests the pads of echidnas so they get this sort of raw pustular wound that impregnates their pads they, they just can’t dig. Tasmanian wombats have developed Sarcoptic mange, you know, a little mite that burrows into skin causing intensely painful skin lesion where they develop all this weeping skin and they become like armour plated animals just losing their skin. They walk around like sort of robots because they just can’t stretch out, there’s no flexibility left in their skin. These animals die an incredibly painful death as a result of having this disease. The Tasmanian Government after great reluctance, says Dr David Obendorf, has published a report listing about twenty two significant wildlife diseases (just in the past 30 years) that are impacting Tasmanian wildlife. In frogs, in wombats, in bandicoots, in wallabies, in devils, in seals, in birds. We’re trying to maintain threatened species in the face of viral infections, parasitic infections, fungal infections. You’ve got to ask yourself the question, why, why all of a sudden do we have all this pathogen stress on wildlife? Dr David Obendorf contributes the spate of Tasmania’s wildlife diseases to human abuse of the environment – pesticide and herbicide spraying, biocide contamination of streams, the continuation of habitat fragmentation and habitat destruction, allowing these diseases to be transmitted more easily and compounding pathogen stresses on wildlife. You’d be a fool not to try and see if there’s one health underpinning for a scenario such as what appeared to have been occurring in the north east region of Tasmania. That region had undergone massive land transformation and the introduction of silvi-cultural plantations over vast catchments and the beginnings of usages of chemicals that were being aerial sprayed over large acreages. The north east corner of Tasmania has undergone massive transformation since the Regional Forest Agreement was signed in 1996. You have a mosaic of landscapes now created with silvi cultural plantations, hardwood plantations of nitens, (Ed: genetically manipulated) Eucalyptus nitens trees. You have some fragmented pockets of natural environment. You have dairy farms. 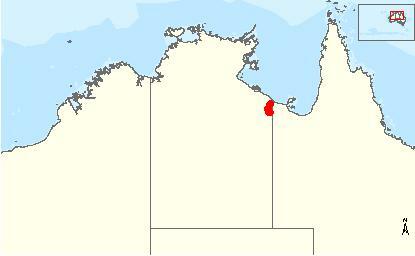 You have small villages and you have the large settlement of St Helen’s which is at the end of the catchment of the George River. So in that sort of context chemical usage has really come into being a dominant player in the sort of risk management of that whole environment. Because you’re dealing with herbicides and pesticides, insecticides, the use of 1080 for a long time as well. So all these things are playing into that landscape and affecting how the water may pick up those residues and the impact it might have on oysters. But also on the bio-accumulation risk that it would represent to the species, the native species that are living in natural ecosystems. The demise of the Tasmanian Devil is symptomatic of the harm 21st Century human activities are causing to Australia’s wildlife habitat and wildlife in general. 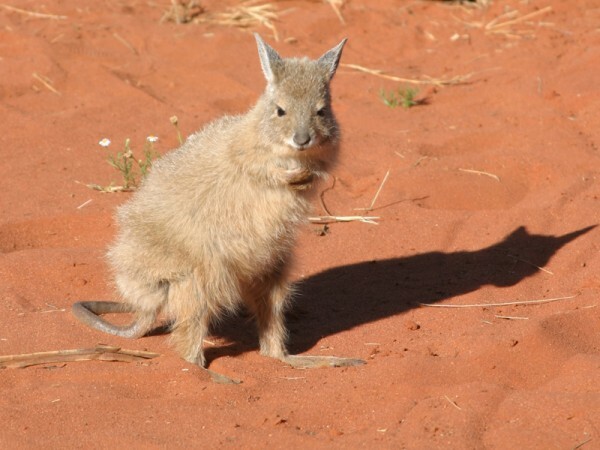 ‘Australia has one of the worst mammal extinction rates in the world, with 22 mammals becoming extinct over the past 200 years, including the Bridled Nailtail Wallaby (Onychogalea fraenata), now listed as endangered. 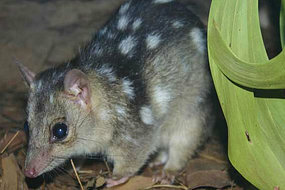 Broadscale bushfire (wildfire or hazard reduction), altered fire regimes including frequent fire, compounded with feral cat predation and introduced herbivores have caused major population decline in many small native mammals such as the Greater Bilby (Macrotis lagotis), the Brush-tailed Tree Rat (Conilurus penicillatus) native to northern Australia. ‘This is undoubtedly one of the major biodiversity conservation issues affecting Australia, which already has the worst rate of mammal extinctions in the world. ‘It would be heartbreaking and internationally embarrassing if we were to stand aside and witness another wave of extinctions without making any effort to intervene. The only way to reduce the chance of extinctions in our iconic northern Australian mammals over the next decade is to take urgent action now’. ‘Extinct in the Wild’ ? Plus other mammal species classified as ‘Vulnerable‘, as well as many native birds, reptiles, amphibians, fish, invertebrates, and plants that are also extinct or approaching extinction. Governments have an entrusted responsibility, delegated to them and financed by the communities they represent, to be competent and active custodial managers of a State’s natural values. Government agencies charged with custodial responsibility for natural ecosystems and native flora and fauna have a moral obligation to be honest and conscientious in properly maintain the integrity (the wholeness and intactness) of a State’s natural heritage. International Environmental Law has adopted a number of important guiding principles which need to form the policy bases and plans of management for managing our natural heritage – including the polluter pays principle, the precautionary principle, the principle of sustainable development, and intra-generational and inter-generational equity. 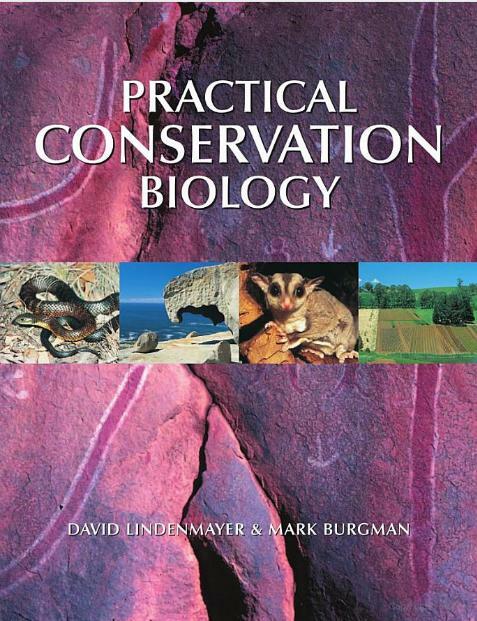 ‘Any judgment made today that has an adverse impact on natural populations, particularly if it involves the extinction of a species or communities, is likely to be irrevocable (Beattie and Ehrlich, 2001). ‘Human beings are part of the natural world, and all forms of life on Earth deserve our respect.’ (Australian Greens Principle #1). May we learn from our forefathers’ wanton and misguided persecution of the now ‘fabled’ Tasmanian Tiger. May we learn from our current fathers’ misguided exploitation of wildlife habitat as a ‘natural resource‘. May we in 2012 take all efforts and funding to prevent the Tasmanian Devil becoming another fabled tragedy of our making. May 2012 be a break-though year for those, especially young people, trying to convince governments the virtue of mature respect for our fragile natural world.